Reduce fine lines, brighten, and boost the bodies collagen and elastin production. Deep exfoliation can aid in the resolution of many skin complaints, especially when done in a series. 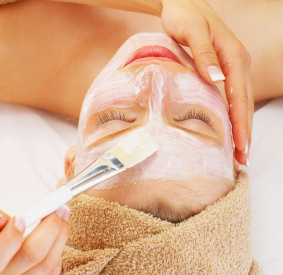 Choose from a 30, 45 or 60-minute facial, or a back facial, all customized to meet your individual needs and concerns. Many choices to make getting your smooth on as comfortable as possible. 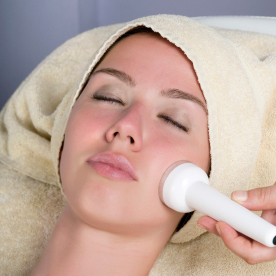 Add a customized deep exfoliation to any facial. Available for any skin type or concern, a peel will rid your skin of excess dead skin cells, deliver beneficial ingredients, and allow the subsequent products to penetrate more deeply. It is our pleasure to provide to you a full range of skincare services including results-driven facials featuring Eminence Organics, Rezenerate Nanoficials, microdermabrasion, sugaring and waxing. All of the treatments provided are customized to meet the needs of your unique skin type and condition and, just as importantly, to meet and exceed your expectations. We are proud to offer high-quality treatments utilizing the latest technology, extensive post-graduate education and top-of-the-line products, at reasonable prices. Proud distributor of Beautycounter skincare and cosmetics, a leader in the movement to provide safer products for all. Purchase with Diane in person or place online order. 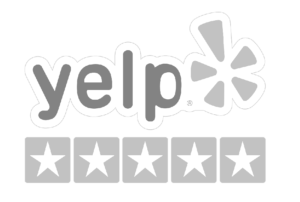 Skincare by di has a 5 star rating on YELP! When I started Skincare By Di seven years ago, I bought a single file folder for my then-nonexistent clients’ records. I hoped and prayed that someday I would be able to fill the folder. And now there are six! This has been such an amazing journey. I have learned so much and met such wonderful people through this oh-so-rewarding venture. Thank you to all my clients, past, present and future. I couldn’t have done it without you! Skincare by Di shared a post. Summer is rapidly approaching! Thinking about trying sugaring? This is the most comprehensive video I’ve seen yet. Any questions? Call or text! Are you one of those people who thinks that unless pain and side effects are involved, a treatment isn't effective? Think again. I've seen beautiful results from the #Rezenerate, with no down time! Plus, since any product line can be used in conjunction with the treatment, it's completely natural at #skincarebydi. Questions? Check out the article and/or contact me. Easy-peasy, and it means the world to a small business owner! When over 1,300 chemicals are banned from personal care products in Europe, over 600 in Canada, yet only about 30 are banned here in the US, it's way past time for a change. It’s been almost 80 years since Congress passed legislation to manage the beauty industry, but a new bill that was introduced today would completely change the way we regulate cosmetics. While a few DIY #skincare products are fine, most are actually counterproductive. There's a reason it takes months or even years for #eminence to come up with its products, and you can rest assured they are as natural as they are effective. 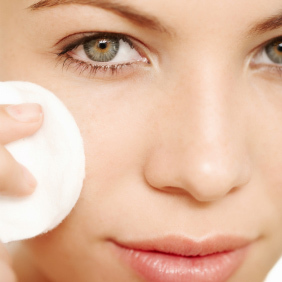 Is Your DIY Face Scrub Ruining Your Skin?